"Save any link as a bookmark on your PC with HTMLtied." HTMtied makes it easy. In order to save a bookmark, simply copy the url from your browser’s address bar or any link on the page and double click on the HTMtied icon on your desktop. 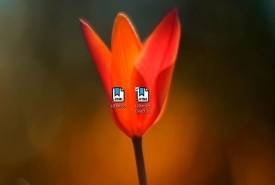 It will then create a new folder on your desktop with your bookmark placed inside. Simple right? The application is absolutely free and there are no limits on the number of bookmarks that you can save. You can easily and simply upload and organize your bookmarks on your favorite cloud platform and other online services so that your bookmarks will be available to you no matter where you are no matter what internet connected device that you are using, not just Windows. You’ll be able to use your bookmarks with Macs, iOS devices, Android devices, Linux, and more. Any device that can connect your cloud can use your bookmarks. This is bookmark freedom. Now of course this process could become rather time consuming if you have a bunch of urls that you want to convert over to bookmarks. Quite naturally, doing anything one by one is time consuming, but we are living in the age of computers people. We don’t do anything one by one and neither will you with HTMtied. You’ve got a bunch of urls to convert, no problem. Select them all and drag them all over HTMtied and all of your urls will instantly become happy little bookmarks waiting to be clicked, shared, uploaded, and enjoyed. One of the greatest things about HTMtied, beyond the greatness already mentioned, is how easy to use it is. It is so simple to use in fact, that the developers felt no need to create a user interface to go along with it. You don’t have to deal with annoying windows and trying to figure out what this button does or what that button does. 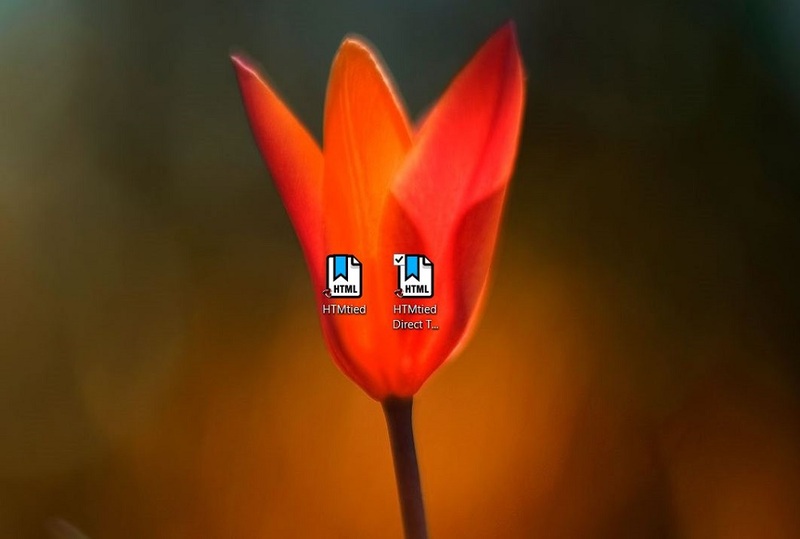 With HTMtied all there is, is two little shortcuts on your Desktop, HTMtied and HTMtied Direct. HTMtied Direct will save all of your bookmarks to a preferred – by you – location within your system. There’s no copying or pasting involved at all. A simple double click is all you will need and your bookmarks will be at your specified location when you arrive. HTMtied is a great application that proves to be very useful once you install it. So go ahead and try it out today.